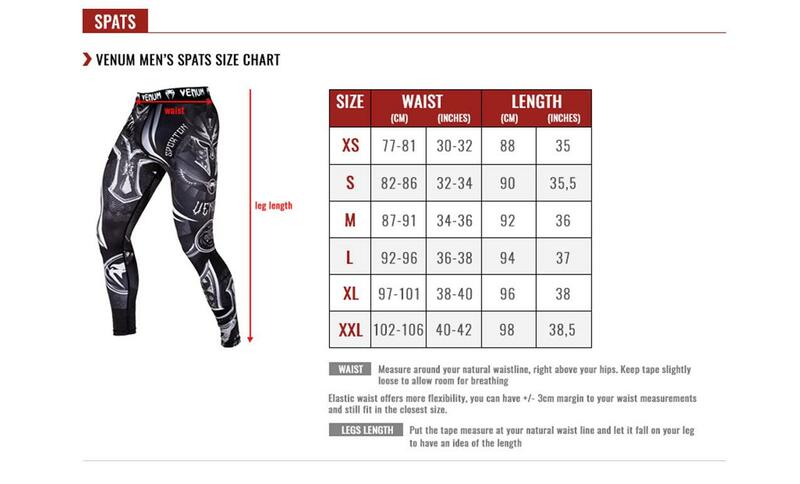 The Venum Contender 2.0 Compression Spats were designed to improve your training conditions in order to upgrade your assets during the fight. The Venum CompressionTechnology and anatomical design of these Training Tights support cleverly your active muscle groups as perfect training baselayer. Before, during and after workout you will be able to feel valuable pay off. Built with a light Dry Tech™ fabric, the Venum Contender 2.0 Compression Spatsbenefit from flats seems to offer you unparalleled comfort. A natural and light range of move, completed by a fast sweat escape management will extend your training session for more and more results.